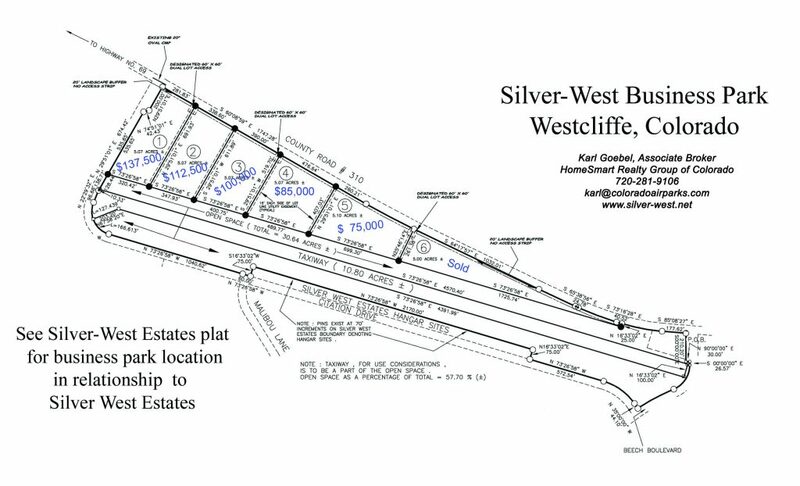 Silver-West Business Park is adjacent to the taxiway that parallels the Silver-West Estates hangar area. This was developed for businesses that would need access to the county runway. Below is a plat map representation of the lots that are available. If you wish to receive a copy of the Business Park Uses document and a copy of the Silver West Business Park Covenants, please use the Contact Us page or Click HERE. Just let us know what you are interested in and we will email it to you as soon as your request is received. Sectional depictions are for information purposes only. Pilots should always refer to current charts for up to date FAA information.